Dr. Leys he is Director of pediatric minimally-invasive surgery at American Family Children’s Hospital. His practice emphasizes minimally-invasive approaches to numerous pediatric and newborn surgical diseases, including congenital anomalies, thoracic disorders, chest wall deformities, tumors and gastrointestinal disorders such as inflammatory bowel disease and gastroesophageal reflux. His training includes a two-year oncology research fellowship at Vanderbilt University and he has also earned a Masters in Clinical Investigation degree. 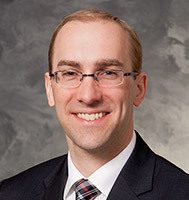 Dr. Leys' research interests include prospective clinical trials and quality improvement.